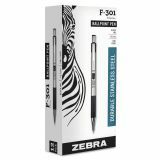 Zebra F-301 Retractable Ballpoint Pen, 0.7mm, Black Ink, Stainless Steel/Black Barrel - Retractable ballpoint pen features a no-slip grip for writing comfort. 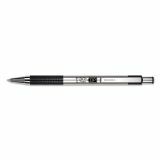 Stylish design offers stainless steel barrel. Fine point. 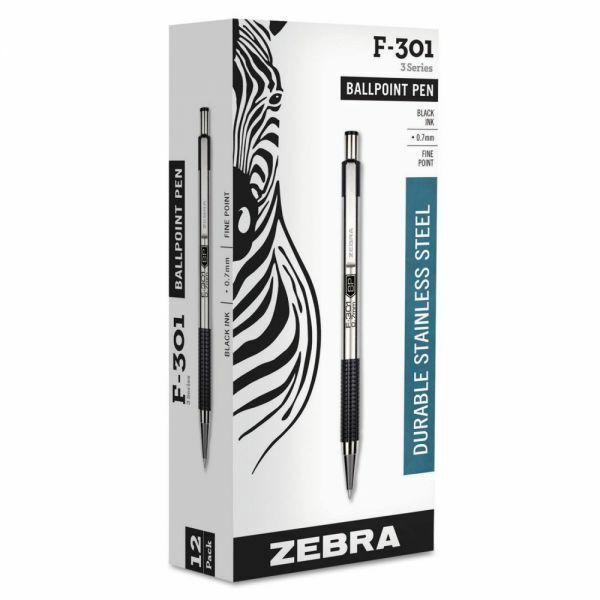 Refillable with Zebra's F-Refill.